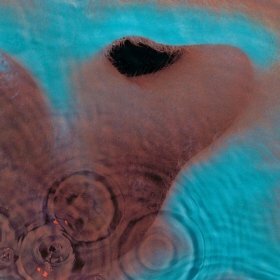 Well kids, it’s not going to get much better for me then Pink Floyd and the re-mastered release of their 1971 album, Meddle, which features, as it always did, some spectacular Floyd moments. Opening with “One of These Days,” with its ridiculously tremolo-y bass riff (actually two basses, one played by bassist Roger Waters and the second by David Gilmour on a bass with very old strings) and Nick Mason’s scary spoken “One of these days I’m going to cut you into little pieces.” It then leads into the float-y soft “A Pillow of Winds,” an uncharacteristic love song in the Floyd cannon. Up next is “Fearless” with its addictive acoustic riffery and then comes the rare show of Floyd humor on “Seamus,” a blues silly moment of a track featuring the weird howling, almost talking, of Steve Marriot’s dog. Of course Meddle is notable for the 23-minute second side, which features the song “Echoes.” Featuring that ping-like sound of Richard Wright playing a single note on his piano and feeding it through a Leslie speaker, Wright and Gilmour share duo vocal duties here as they would many times (even on the last Floyd album) and combine it with Gilmour’s fantastic and varied guitar playing. This sprawling tune is usually referred to (by the band and its fans) as a good indication of where the band was heading in their dominance of the 70’s.